The Southern Baptist Disaster Relief folks have been in my yard all day. Chainsaws and ladders and ropes. They’ve already taken down two trees and are working on the third (and biggest). But I want to tell you about the pine tree. 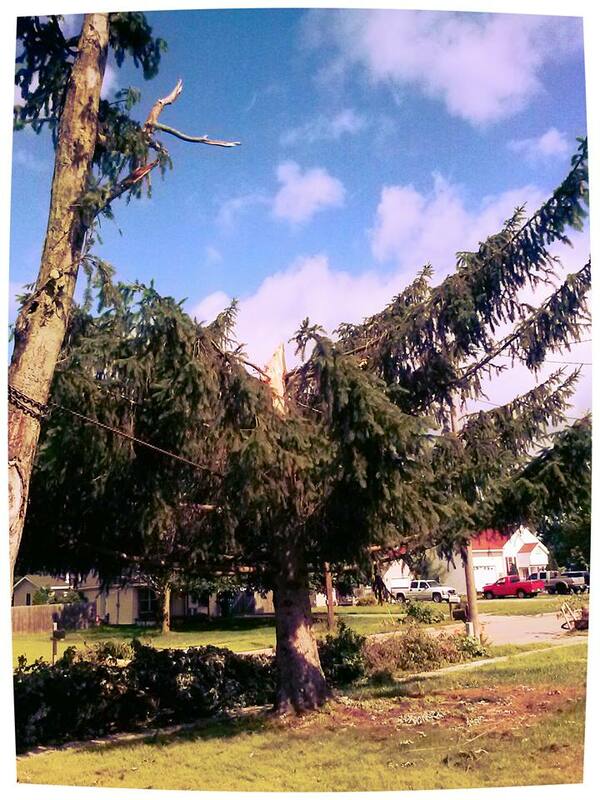 During the tornado that whirled through our neighborhood last week, this pine tree snapped in half. The top part filled our yard. 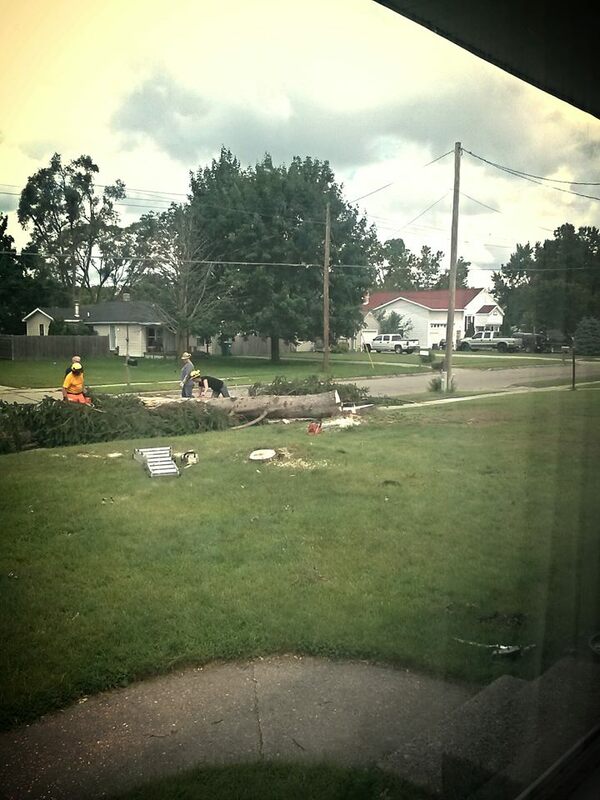 Today, a man climbed into it, cutting a few limbs before felling it. A mourning dove sat on the boughs, watching him work. She watched him take apart, limb from limb, the tree she’d lived in. Eventually, he climbed down, made cuts all around the trunk and within moments, the tree fell. The dove flew out of the tree just as it fell. That was four hours ago. She’s still around. She swoops near the stump, perches on the electrical wire gazing where the tree had been this morning. She’s confused because, I’m sure, she remembers what home looked like. And now it doesn’t look like that anymore. This is heart wrenching. Praying for you and your family as you adjust and recoup. Thanks, Lex. This is far more emotional than I ever would have expected. The good and happy thing is that my kids will soon be able to safely play in the backyard again. That will help life feel a bit normal again.